Spring is finally here! What better way to celebrate than to experience the Home Builders Association of Winston-Salem’s (HBAWS) Spring Parade of Homes. This tour of beautifully decorated, new and remodeled homes will be inspiring and educational. Whether you are planning a remodel or are in the market for a new home, take advantage of this opportunity to tour the work of local builders and decorators to see the latest trends first-hand. As always, this fun, family-friendly event is free. Co-sponsors of this year’s Spring Parade of Homes are Smith Phillips Building Supply and Allegacy Federal Credit Union. They look forward to introducing the work of local building and remodeling professionals to the community. Parade dates are April 27th and 28th, and May 4th and 5th. Hours are 1:00 to 5:00 p.m., both Saturday and Sunday each weekend. This year’s Spring Parade of Homes is especially exciting as the HBAWS celebrates its 60th anniversary. Started in 1959, and governed by an elected board of governors, it represents builder members in Forsyth and Stokes counties involved in residential/commercial building and remodeling. By effectively representing and serving its members, the Home Builders Association of Winston-Salem strives to meet the community’s need for quality, affordable construction, and renovation of housing and commercial space. Current President of HBAWS, C. Aubrey Stimpson, adds, “My Grandfather, Conrad Stimpson Jr., was a charter member of the HBA Winston-Salem in 1959, he also served as President in 1973 and 1974. My Father, Karl Stimpson, built the HBA building around 1980 where we currently reside on Charlois Blvd. I am humbled and honored to even be asked to serve as President, and especially on this 60th Anniversary.” Please visit the HBAWS website to view a gallery of past presidents at HBAWS.net. 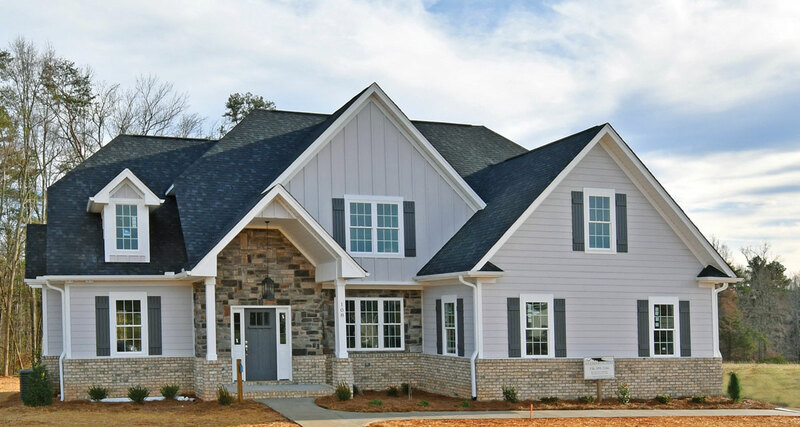 Remembering that “Home is where the heart is,” you can learn new exciting ways to put your heart into your home by attending this Spring Parade of Homes, while helping to celebrate the Home Builders Association of Winston-Salem’s 60 years of excellence in serving the community. To plan your tour, please visit springparadeofhomesws.com. to view the list of properties, links to the builders’ web sites and interactive/printable maps. Consider installing the new Spring Parade App on your phone. Found on Apple iTunes store, this app includes listing information, builder profiles, and driving directions. Great info at your fingertips while touring! Thanks to Houck Residential Designers for sponsoring this informative app! Or, for more information, contact Beverly Hayes, Director of Communications and Member Services for the Home Builders Association of Winston-Salem, at 336-768-5942, or visit hbaws.net. HBAWS is located at 220 Charlois Blvd. in Winston-Salem.